Majority of the people in Kuwait follow Islam followed by Christian, Hindu and Parsi religions. 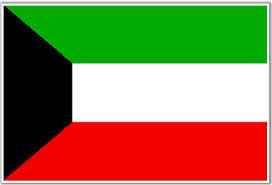 Islam is the official religion of Kuwait. Kuwait follows the system of ‘Constitutional Monarchy’ with a Parliamentary System of government. Apart from having world's fifth largest proven oil reserves, Kuwait is the fourth richest country in the world in terms of per capita income. Kuwait's oil fields were discovered and exploited in the 1930s. Petroleum and petroleum products make up around 95 percent of export revenues, and 80 percent of government income, in Kuwait. In 1990, Kuwait was invaded and annexed by neighboring Iraq. The occupation lasted seven month and ended after direct military intervention by United States-led forces. The island of Failaka in Kuwait was an ancient trading post. Kuwait came under the leadership of the Al Sabah family in 1750s, with semi-autonomy from the Ottomans. Kuwait entered the Special Treaty of Friendship with Britain in 1899, to prevent the occurrence of Ottoman direct rule. Kuwait became a member of the Arab League in 1961 and that of United Nations in 1963. Kuwait was the first Arab country in the Gulf to have an elected parliament. Full political rights were granted to women in Kuwait, in 2005. Kuwaiti men usually wear the national dress of long white dishdashes and white headcloths, while women wear yashmaks. Kuwaiti food is primarily based on the staple product of rice. Kuwait is one of the smallest countries in the world. In 1773 Kuwait was hit by the plague or pestilence and most of the Kuwaitis died. In 1913 the first Kuwaiti hospital was opened. The first girls school was opened in 1937 and was called the 'Middle School'. The first Bank opened in Kuwait in 1942. The first postage stamp was issued in 1947 on the occasion of the 26th year of Sheikh Ahmed Al-Jaber's rule of Kuwait. The first sports club was established in 1949. The first secondary school for boys was opened in 1953 and called 'Shuwaikh School'. The first official newspaper 'Kuwait Today' was issued on the 11th of December, 1954. The first secondary school for girls was opened in 1959 and called 'Murgab'. The first news broadcast on the radio was on June 1957. In 1961, the Indian rupia was replaced by the Kuwaiti dinar, the first official currency. In 1969, the Central Bank was opened. The first Kuwaiti female teacher was Mariam Abd Al-Malik.